Mollie’s secure payment method is integrated in this webshop. Lamett Europe NV has entrusted the handling of online payments to Mollie. Thanks to Mollie’s financial expertise and the combination with the secure Visa and MasterCard payment systems, Mollie is an extremely safe and reliable payment partner. Moreover, discretion about your critical payment details is guaranteed. Mollie’s online payment application allows each client to pay immediately by means of Visa or MasterCard, or by the Maestro payment facility that is present on every Belgian payment card. All these payments are made with optimum security and protection of the 3D Secure programme of the international payment systems “Verified by Visa” and “Secure Code” of Mastercard. Fill your basket with the products you need and go to check-out. Following the checks carried out by the bank that has issued your payment card, you will receive confirmation of your payment straightaway. Your package can be delivered at home or at a different address of your choice. Can I choose when my delivery will be delivered? When you place your order, your package will be prepared as soon as possible. We count 3 to 5 working days before arrival. Can my order be delivered at my work address? Will I be kept up to date concerning the status of my delivery? Yes. After placing your order and the making the payment, you will receive an automatic email to confirm your order and payment. Later, when the package has been sent, you will receive a second e-mail from us. And when you have created an account for this webshop you can follow the status of your package through the webshop yourself. I haven’t received my package yet. Has it been send? When your package is shipped with b-post you will receive a confirmation email. Did you not receive this email, then you can always track the status of your order via your Lamett account. Click ‘my account’, log in with your username and password and click in the left menu on ‘my orders’, there you will see the status of your order and shipment. I have given my own address as delivery address, what if I’m not at home when the courier is there? The courier will come to your house up to 3 times. If each of these 3 times you’re not at home when, he will deliver the package to the nearest collection point. You will be informed by means of a note, that you will find in your mailbox. There you can find the address of the collection point in your neighborhood. You can collect the package there. The delivery normally takes 3-5 working days. During holidays this can be a little longer. Unexpected conditions (strikes at b-post, extreme bad weather conditions,…) can cause that your package will be delivered a few days later. Complaints or disputes must be within 7 days after delivery to be reported. If the complaint is justified, our liability is limited to the exchange of goods. Any liability of the seller is limited to the amount actually paid by the order. Lamett Europe NV always handles questions and complaints within the reasonable period of 7 days. The Belgian law on business methods and on the information and protection of the consumer of 11 April 2010, allows the purchaser to inform the seller within 14 days of the date of delivery of the product, that he/she renounces the purchase. The goods are then to be sent back, unopenened, undamaged and unused, within 5 working days after informing the seller. 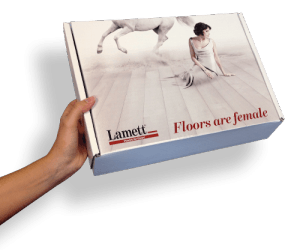 Lamett Europe NV can refuse returned goods or not refund them when the original packaging has been opened or when the products have been damaged by the purchaser. Lamett Europe NV bears no expenses and no responsibility concerning the sending back of goods by the purchaser. Goods returned to us without prior notice won’t be accepted.